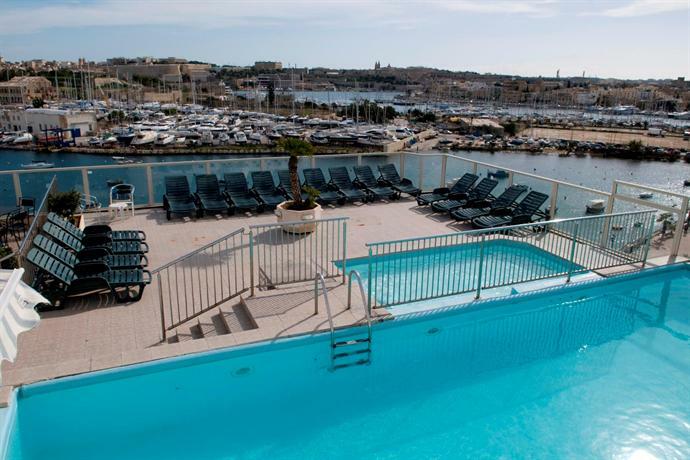 Located on the 7th floor of the Bayview Hotel and Apartments the heated rooftop pool offers panoramic views of Marsamxett Harbour. The outdoor pool of the indoor/outdoor pool combinations features a stone tile pool deck, plastic sun loungers, sun umbrellas, a children's pool area, and a pool side bar known as the Marina. The Marina bar is open during the summer season and serves cold drinks and light snacks. The indoor pool is heated. The outdoor pool is seasonal.